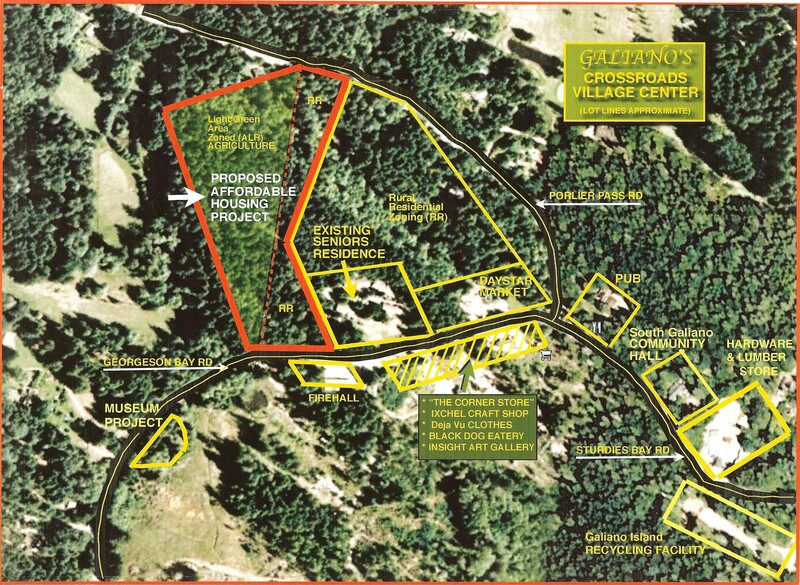 The Galiano Land and Community Housing Trust (Galiano Affordable Housing) has an option to purchase a 10 acre parcel of land in your neighbourhood. It’s the Bice/Konantz property (409 Porlier Pass Road) that is behind the Market and beside Page Drive. We have submitted an application to re-zone this property to community facility-affordable housing. We wish to provide an opportunity for Galiano community members to lease land to build and own their own modest, low impact home. We intend to create a world class model of green affordable rural housing that will enable our young workers families and seniors a chance to stay in the community and build a life here. Our plan includes a walking trail and a community garden. We would like to invite you to attend one of our open houses to find out more. Our first open house is exclusively for neighbours to attend. Don’t eat a big dinner because refreshments will be served! Our goal is to become exemplary neighbours and to make attractive, sustainable and attainable housing available for Galiano community members. We’d like to discuss with you our plans. There will be copies of the re-zoning application for you to take home and this will be an opportunity for you to share your ideas and feedback with us. If you are not able to attend these meetings and would like to get together with a board member or have an information package with the re-zoning application dropped off, please call Emily at (250) 539-8030 and we will make arrangements for one of our board members to get together with you at a later date at your convenience.